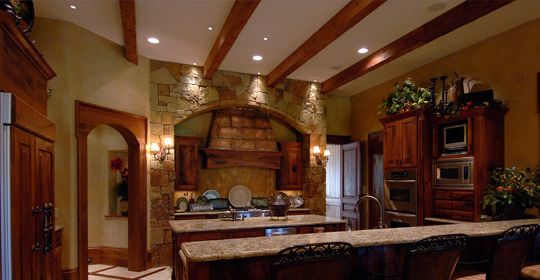 Installing recessed lighting into a kitchen or living space is a great way to add practical lighting and update your decor. 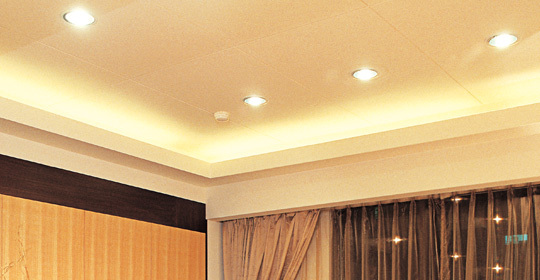 Here, we present our favorite recessed lighting solutions to some of your common lighting challenges in nearly every room in the home. Challenge: Add depth, glamour to a living room, and light hanging artwork. Solution: We used three wall-washer recessed highlights with regular 60-watt A bulbs for the larger artwork. Two of these were used for the smaller painting over the fireplace. To provide general room lighting, we placed six-inch clear Alzak fixtures in each room corner with 50 watt PAR-30 halogen flood bulbs. A pair of table lamps on either side of the sofa and a corner floor lamp adds direct task lighting to the seating arrangement. Challenge: Provide drama and functional lighting for a bedroom setting. Solution: This eclectic bedroom is illuminated by recessed down-lights over the artwork. To light the headboard, we used recessed lights with white baffle trim and 50 watt par-20 bulbs. A pair of bedside table lamps and a corner floor lamp adds intimate reading and task lighting. 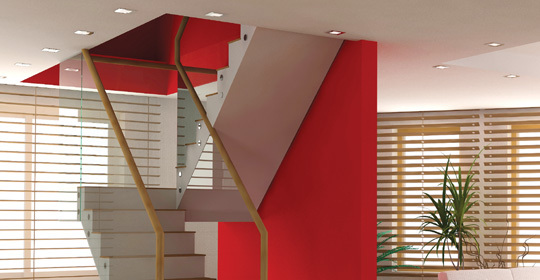 Challenge 1: Light a modern stairway landing and hallway, while keeping an open feel and floor plan. Solution 1: Recessed lights were placed under the overhang in the bottom floor walkway and aimed at the artwork on the wall to create a focal point for the space. We used black trimmed, low voltage Alzak fixtures with 50 watt, MR-16 bulbs. Challenge 2: Highlight and dramatize the architectural elements in a foyer entryway. Solution 2: Recessed accent lighting from the ceiling space above creates subtle light and shadow within the space, giving it a dramatic three-dimensional effect. A single recessed light is used in the cove. The height of the ceiling aids in effectively hiding the fixtures from sight, reinforcing the clean, minimal look. 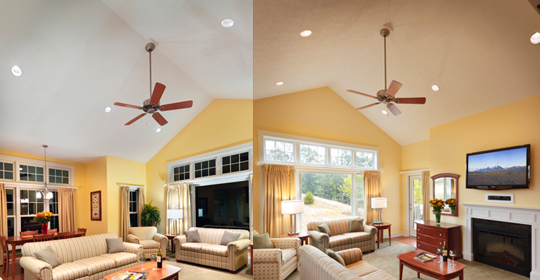 We used clear Alzak trim fixtures with 50 watt narrow flood MR-16 bulbs to achieve the look. Challenge: Illuminate a dining area and accent wall artwork to create a relaxed yet formal mood. 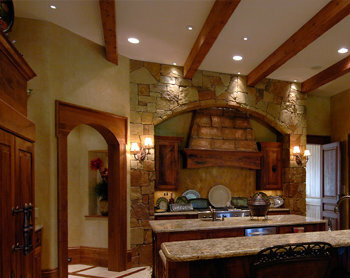 Solution: In this picture, we have placed clear Alzak trim fixtures with halogen MR-16 bulbs over the dining room table. These lights, as well as the hanging chandelier, are tied to a central dimming switch, allowing the homeowner to easily set the mood level and adjust the lighting to eliminate glare from the table setting. Twin wall washers at the foot of the room illuminate the painting with an halogen MR-16 narrow flood, creating a dramatic focal point.